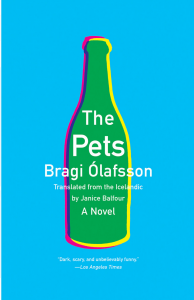 Please see my review of Bragi Ólafsson’s Icelandic-language novel The Pets in the Colorado Review. 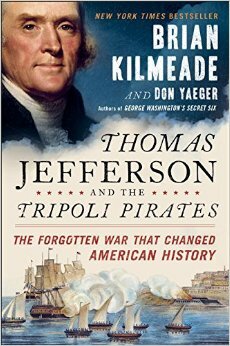 Thomas Jefferson and the Tripoli Pirates: The Forgotten War That Changed American History, by Brian Kilmeade and Don Yaeger, is light reading as historical accounts go, giving the reader a clean and crisp narrative of America’s first real ‘war’ overseas. In the process, the US Navy became a long standing official entity, and the Marines most famous land missions on the coast of North Africa occurred, which became immortalized in their anthem. Kilmeade and Yaeger make some obvious and at times clumsy comparisons between early America's fight with the Muslim Barbary states and the present series of wars with Muslims in Islamic lands. Some of the historical characters believe, and the authors appear to concur, that Muslims only negotiate through a show of strength, and not from any motive of pacific self-interest (not so sure about that). So, if you want a light book that makes you feel good about American exceptionalism and teaches you a bit of history, this is for you. 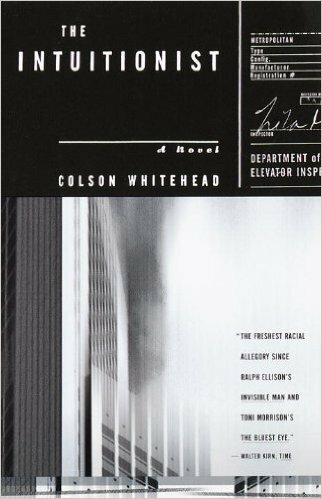 The Intuitionist, by Colson Whitehead, certainly has a great set-up, an interesting mise en scène, yet something is missing from this novel. Whitehead has the great set up, has all the pieces in place, and then fails to act fully upon them. In the end, the story leaves one with a curiously unsatisfying sensation. It is like a chess game that had the promise of great energy, considered strategy, and a keen eye for the moves ahead - but was quickly botched. Instead, this novel stops with pieces still left on the board. 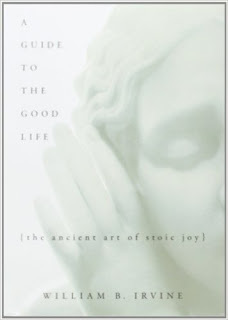 Irvine’s A Guide to the Good Life: The Ancient Art of Stoic Joy has a slightly misleading title, as Irvine is just as much pouring Stoicism into a modern mold as he is presenting an ancient art. There is nothing wrong with this, and he repeatedly stresses that his Stoicism is a product of ancient Stoicism, but is even more so a new creation. In fact, some of the techniques he provides to become a Stoic are not found in ancient sources (again, he points this out). This does not detract from the book, in fact, it brings Stoicism to our age. Irvin eliminates the ancient religious elements from Stoicism. Any and all metaphysics is removed. You won’t find reference to God, gods, Zeus or the World-Fire. For that, use Irvin’s helpful list of books from Stoics at the end of this guide. Controlling our emotions is probably one of the most difficult challenges in life. Irvine provides a fine avenue to approach this fraught task. 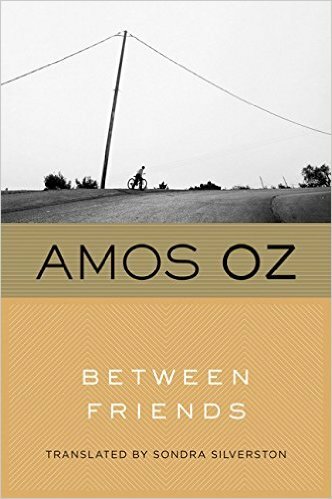 Amos Oz’s Between Friends recounts life on a kibbutz sometime between the Sinai Campaign and the Six Days War. The book weaves in and out of the lives of the members of the kibbutz, highlighting, as it goes, the mostly negative influence of collective existence. 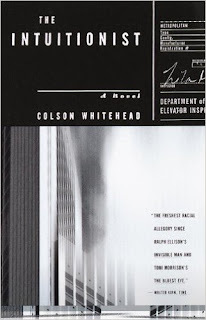 The novel revolves around a central irony: in a community that is supposed to work together, share property, and make decisions by consensus, there is a great deal of anonymity. 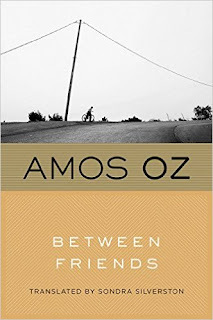 The "between friends" of the novel is not to be taken seriously. The jealous socialism of the kibbutz, according to Oz, did not lead to greater harmony between its members, but simmering resentments, low achievement, and a high attrition rate. This result falls under the law of unintended consequences. A system designed to bring people together, often tore them apart. 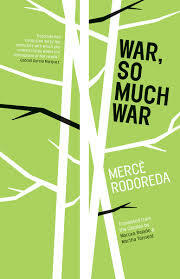 Please see my review of the Catalan novel War, So Much War, on the Center for Literary Publishing webpage of the Colorado Review. Elizabeth Kolbert's The Sixth Extinction: An Unnatural History, is a disturbing but important book about the radical turns the earth has taken over its history, leading to mass extinctions of animals and plants. There have been five, and it is postulated that we are on the verge of the sixth. This extinction will be caused by the colonization of the planet by modern humans; our widespread success at reproducing, our deft use and abuse of natural resources, have or are transforming the nearly every niche in the planet. I think Kolbert makes excellent points about this topic. There may just be a sixth extinction event on the horizon, and we may go down with it; we caused it, and we will fall with it. Yet there have been five other major events, which happened well before the rise of human beings. 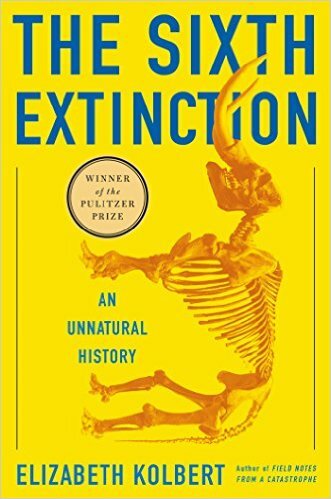 This cycle of extinctions is an important concept to think of, as it makes us confront our very notions of natural and unnatural causes of extinction. Kolbert always rightly point out that modern humans have been causing extinctions on a massive scale soon after groups of people departed from Africa at least 60,000 years ago. Everywhere prehistoric modern humans arrived, large scale extinction of mega-fauna occurred shortly thereafter. In Australia, giant marsupials disappeared a few thousand years after human settlement. Modern Humans encountered other beings from the genus homo in their wanderings. All of these disappeared after they came into contact with Modern Humans, leaving only fossil remains and their light imprint in our DNA. What does this say? We have been a high impact species for a long time. Even in our hunter/gatherer stages, often depicted as a time when people lived in harmony with nature, we destroyed ecosystems. The only hope we have, Kolbert explains, is that we harness our tremendous power to mend the earth, rather than further damage it. She leaves room for hope that this will happen, but also concedes that it is too late to save many animals and plants from doom. 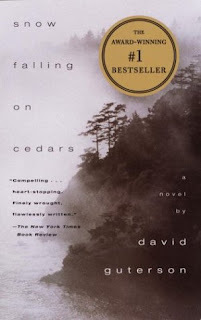 Snow Falling on Cedars, by David Guterson is a very mainstream, literary novel. I say this in the sense that it is written with just enough sophistication to transfer well to be big screen (which it did). Nothing ever unexpected happens in this novel, either on the level of plot, character development, or the exploration of text. That said, the novel has its virtues. Guterson has an appealing knowledge of the fauna and flora of the Pacific Northwest, as well as the type of people who inhabit his world. This gives the novel a firm sense of place, and vibrancy and flavor it would otherwise lack.